In 2013 and 2014, lobbyist Marc Brown's "New England Ratepayers Association" opposed Kinder Morgan's proposed fracked gas pipeline expansion plans through Massachusetts and New Hampshire. Then just this month, Brown flipped and suddenly supports more fracked gas pipelines. As I asked in a recent letter to the editor in my local New Bedford Standard-Times, what changed, Marc? Or should I say, whose check cleared? How can anyone buy a Volkswagen after this? Volkswagen’s pollution problems took a costly new turn on Tuesday when the company said it had understated emissions of carbon dioxide, a greenhouse gas, for about 800,000 of its vehicles sold in Europe, and overstated the cars’ fuel economy. A limited number of gasoline-powered cars are affected, said Eric Felber, a company spokesman, expanding the focus of Volkswagen’s crisis beyond its diesel engines. It is the latest in a series of emissions revelations shaking the company, raising questions about the quality of its internal corporate controls and its reputation for engineering prowess, and undermining a carefully crafted image as a maker of efficient and environmentally friendly cars. The latest problem will force the company to incur an estimated 2 billion euros, or about $2.2 billion, in possible financial penalties, a spokesman said, because of tax breaks granted in Europe on cars with low carbon dioxide emissions. Those costs would be on top of the €6.7 billion the company has already set aside to address its central emissions crisis, revealed in September when Volkswagen admitted that it had installed deceptive software in 11 million diesel vehicles to make it appear as if they met air-quality standards for nitrogen oxide, which poses a threat to human health. Volkswagen’s troubles have led to lawsuits from investors and car owners that are likely to cost the company billions of dollars beyond the money already set aside. 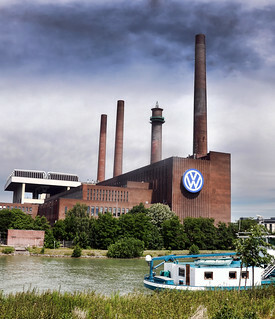 Is there any aspect of its vehicles that Volkswagen hasn't been lying about? These problems go so far beyond "whoops, we screwed up one thing!" Its entire corporate culture has embraced systematically lying about a range of performance items, from polluting emissions to fuel efficiency. How do we know they haven't been cheating on safety tests, too? One of the world's biggest corporations has been running as a scam, intentionally selling shoddy vehicles to its customers. It's hard for people to get their minds around something that big and that evil, but welcome to Griftopia. There’s nothing I have to do. Bridges close themselves. Roads deteriorate and go away. That’s what happens. And reality is, for us, let’s not let the system degrade and then we’re left with sorta whatever’s left. Let’s try to make a conscious choice – it’s not going to be perfect, I would agree it’s going to be complex and messy – but let’s figure out which ones we really want to keep. As Congressional budget negotiators come up with increasingly bizarre tricks to try to pay for a transportation budget that's mostly spent on building new roads, the question remains: What if voters don't want to pay for it? We should talking about building fewer new, unneeded highways and focusing our resources on maintaining what we have. We know urban roads can lose lanes, with Austin recently showing that many urban roads can be slimmed down while improving safety and cutting speeding. 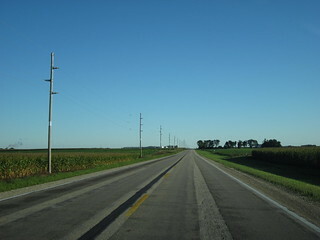 What can we do about expensive and little-used rural highways? How many could lose a lane and no one would ever miss it?